Life Event Quilts — Tandem Quilting Co.
Days can pass quickly, but quilts have the ability to last for generations and carry meaning and history through family lines for generations. 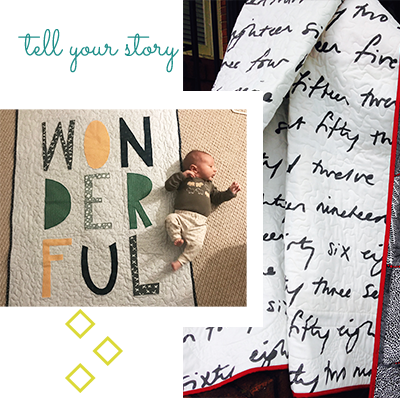 Whether you're celebrating a 50th anniversary, welcoming a newborn, or mourning a loss we would be honored to play a role in creating a perfect quilt to commemorate your life's moments. When my younger brother died and left six children, I wanted to give them something to console them. I had a ton of shirts he wore from concerts, fishing tournaments, and sports events. Tandem Quilting took them and transformed them into amazing quilts, with a mix of subjects, beautiful borders and a memorial label stitched on the back.